Davis, Party of 4: Happy Halloween! 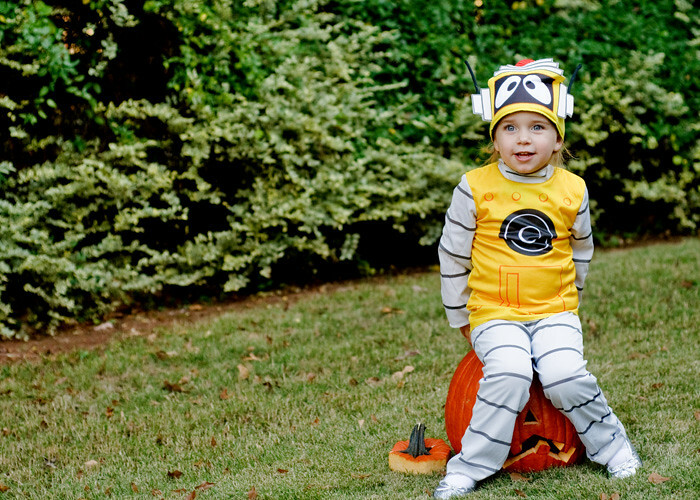 Charlotte has wanted to be a "lellow robot just like Plex" for Halloween for a couple of months. 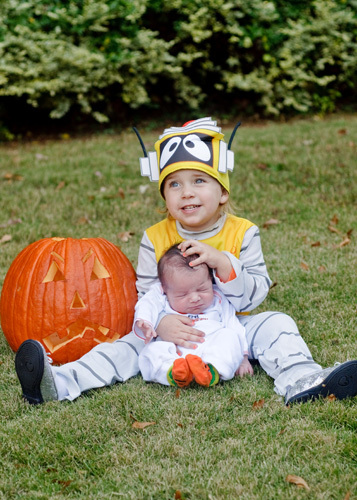 (Plex is from Yo Gabba Gabba) She also wanted an "angry" pumpkin when asked what kind of pumpkin she wanted carved. Luckily we were able to fulfill both wishes. ohmigosh...that gave me the best laugh of the day. I love those pictures and that silly Charlotte. I haven't forgotten you guys. I got a sore throat that turned into a sinus infection, so I've been trying to stay away. Don't know how much longer. Love you!